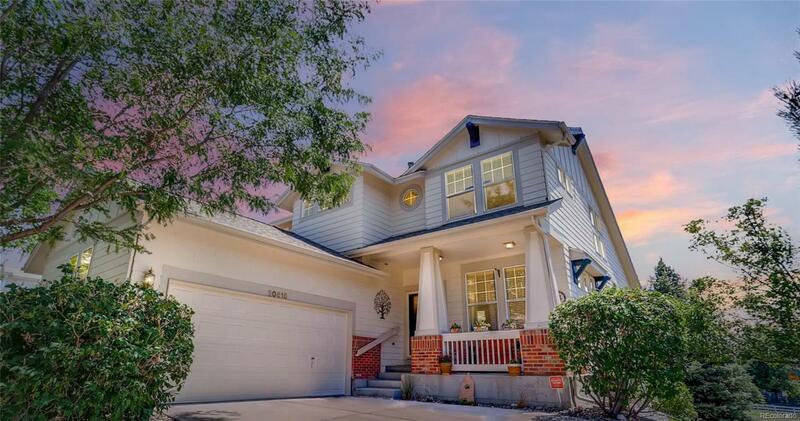 Enjoy dramatic sunsets from this gorgeous home overlooking expansive open space! Featuring soaring 20-foot ceilings, sun-filled open living spaces, gourmet eat-in kitchen, and $50k in recent improvements (hardwood floors, carpeting, SS kitchen appliances, lighting & windows), this energy-efficient home features 3 bedrooms, each with its own bath. The spacious master bedroom suite includes a sitting area, large walk-in closet, & 5-piece bath with deep soaking tub. The custom- finished walkout basement features a bedroom with bath, workroom, family room with surround sound & wet bar plus access to the peaceful backyard. Why spend weekends doing chores? View wildlife over your morning coffee from the new 350 sqft deck with pergola. Enjoy the convenience of true maintenance-free living (HOA includes roof/gutters, exterior paint, full landscaping, snow removal, trash/recycling). Adjacent to the path leading to biking/walking trails, community pool & tennis courts; life couldnt be better.